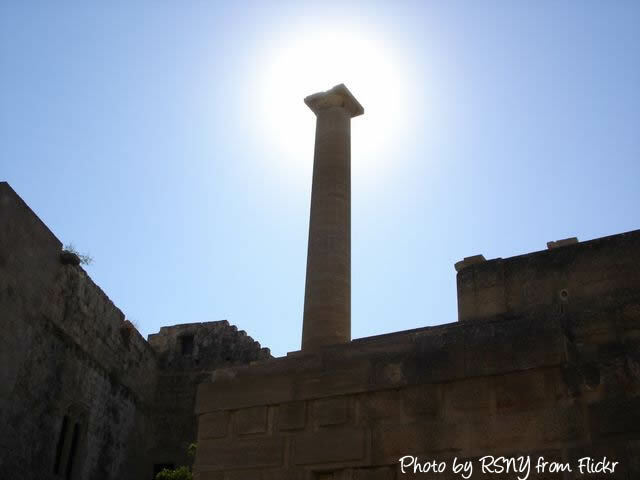 ﻿ Rhodes and Lindos Acropolis - Sightseeing guide for these 2 major sights in Rhodes, Greece. The Acropolis of Lindos, sits on a hill 380 ft up and its surrounded by the modern day village of Lindos and Pefkos to the south. This is one of the most important sites in Rhodes and Greece today and work is still on-going to excavate and rebuild what they can. 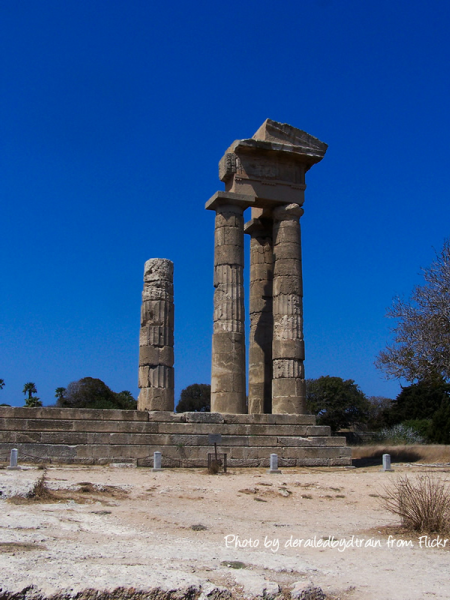 The history of the temple and acropolis begins in the 9th century BC when the first temples and offerings were built for and by the cult of Athena Lindia. Over the years as faith and rulers changed it was burnt down and destroyed and rebuilt in various forms, and finally rebuilt in 342 BC in what's left of its current form. Below you will find a brief guide to what formed the acropolis and what it was used for and a few select photos of the Acropolis as it stands today and the work which is still ongoing. 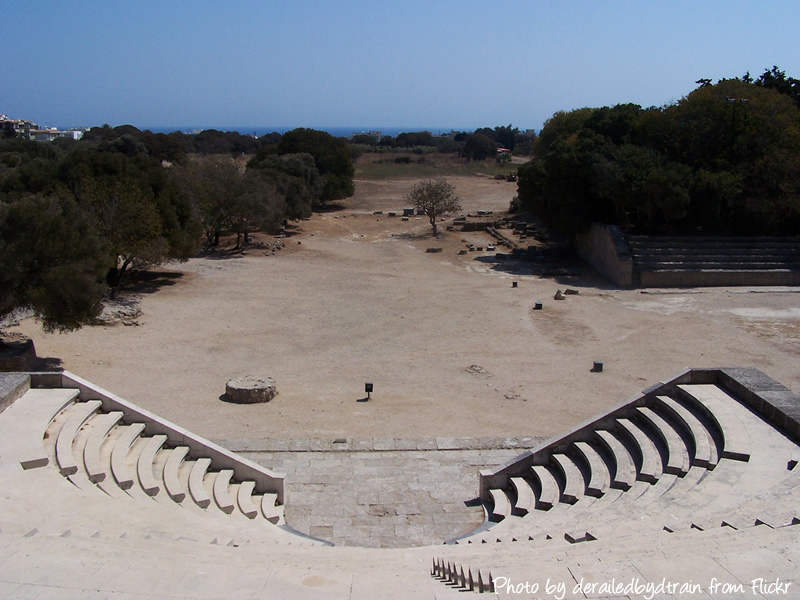 The Theatre lies on the south west side of the hill and is believed to hold up to 1800 spectators. 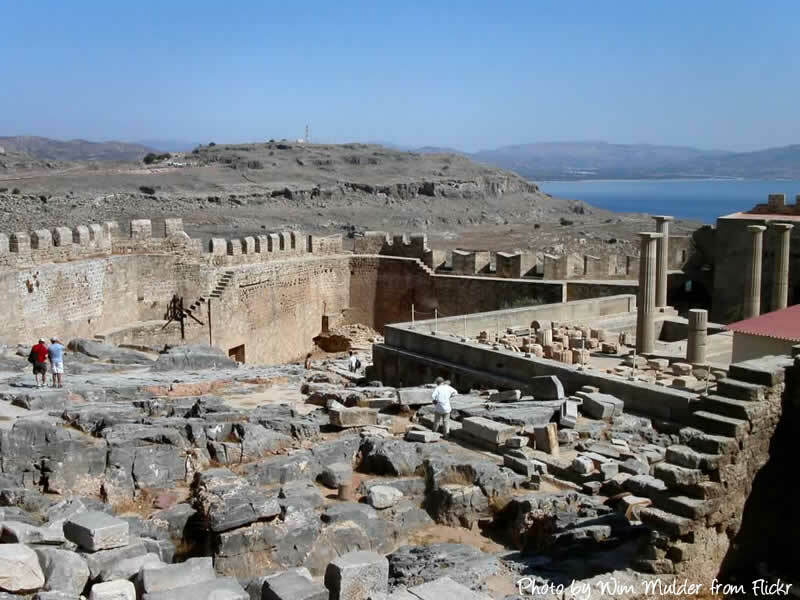 Parts of the theatre still survive, including the The proedries which were honorary seats around the theatre for officials. The circular orchestra and the auditorium for the spectators were hollowed out of the the side of the hill. Only parts of the theatre have survived over the ages but its interesting all the same. Four-portico building lies as an extension to the theatre and there are remains of this today. The building once had a large courtyard and columns supporting a porch. This building was believed to hold around 1600 spectators and was mainly used for religious ceremonies. There are also cemeteries that surround the Acropolis and hill and the two most famous tombs are that of Kleoboulos, a wealthy family from which you can still see remains of the tomb and cave today. On the west side of the hill you will find a tomb that was carved into the rock and within this chamber you will find 19 tombs that were cut into the rock. It was believed this tomb was used for many religious ceremonies and at one point the Knights of St John would have used it as a church. There are many buildings and ruins still being rebuilt and excavated, make sure you take a look at The Church of the Panayia and Ayios Demetrios which is a small barrel-vaulted church northeast of the entrance to the Acropolis. 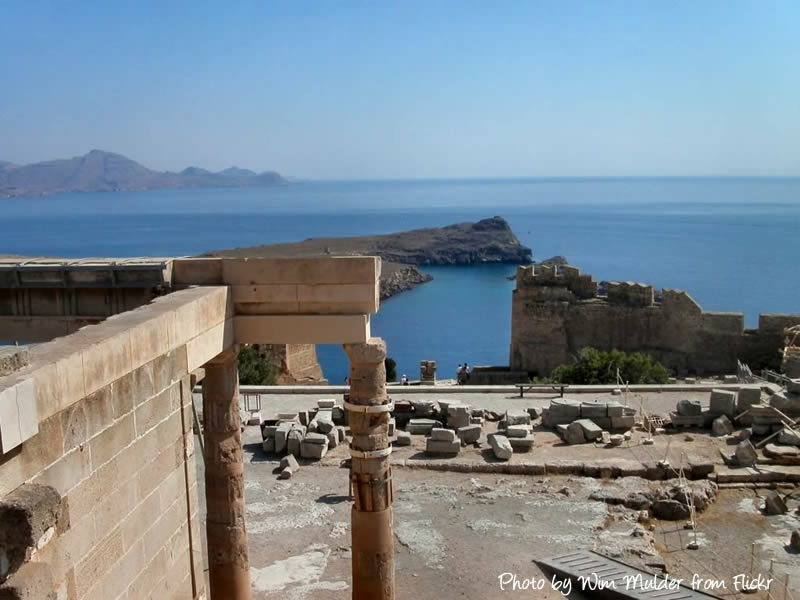 The Lindos Acropolis has been an important part of life and culture through the ages, and now today you can visit it via donkey or walking and take some amazing pictures as we have featured below from fellow holidaymaker’s. 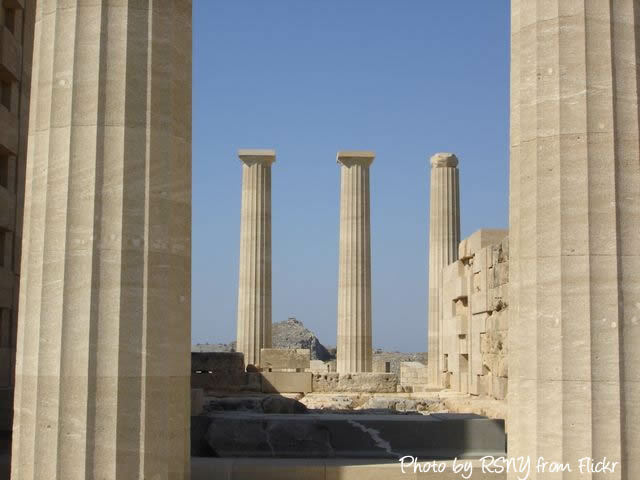 Rhodes acropolis looms over the highest part of Rhodes Town and offers an imposing sight to visitors from the sea. 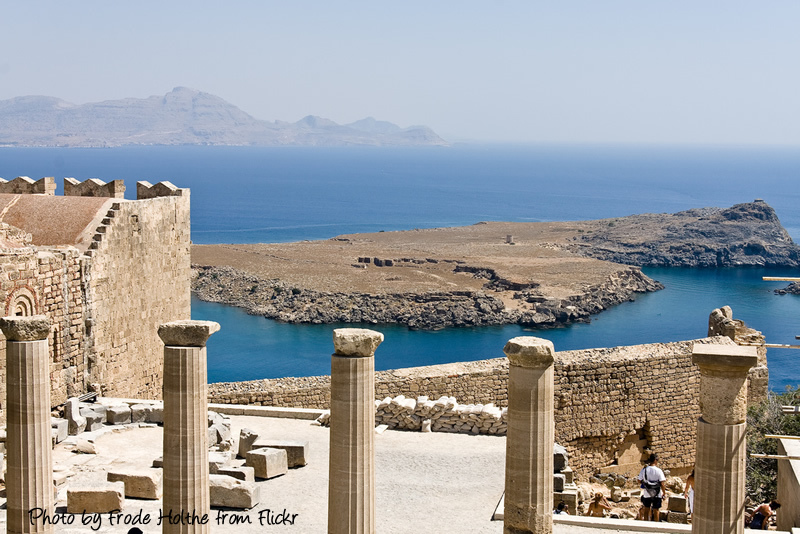 Like many other Acropolises on the island it was home to Temples to Athena Polias and Zeus Polieus. Some of the excavation work on the Acropolis was started in the Italian Occupation and been continued by Greek Archaeological Service since 1946. The whole of the Acropolis has yet to be uncovered and work still continues and interesting finds happen rarely but still each find is met with joy and happiness. There has also been a lot of restoration work done by both the Italians and the Greek Archaeological Service. 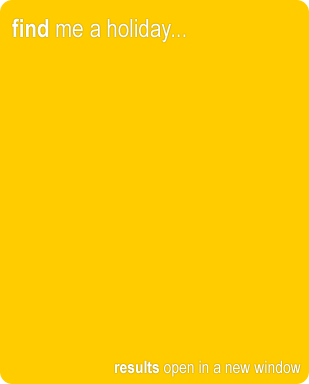 It has been needed due to the damage over the centuries and most recently from WWII. 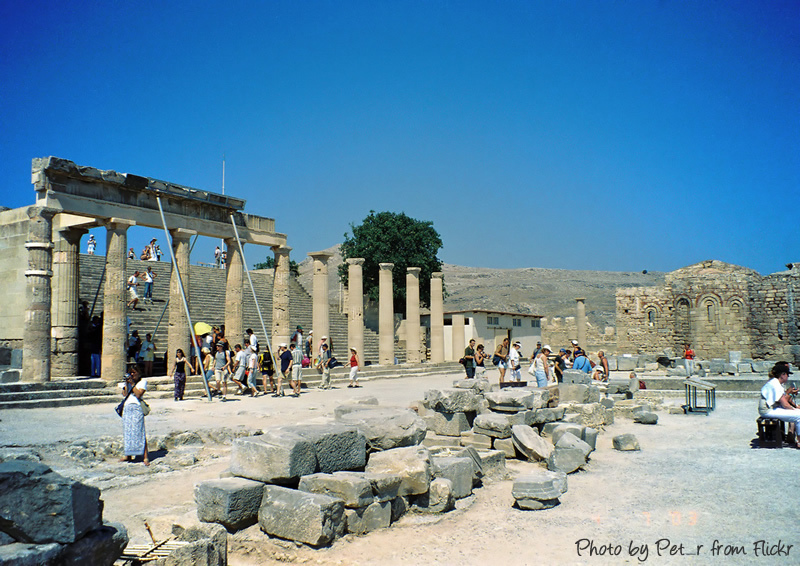 Sights and places to note when visiting the Rhodes Acropolis are Temple of Athena Polias and Zeus Polieus on the north edge of the Acropolis. 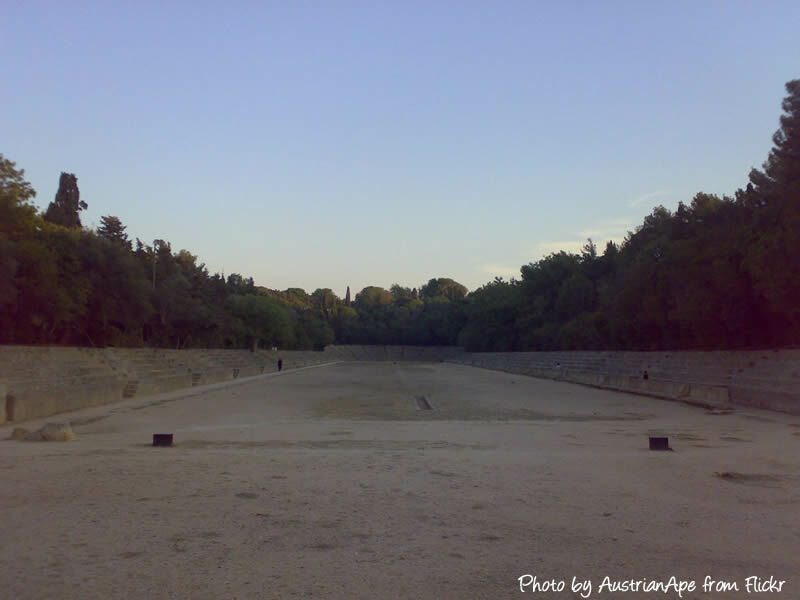 The "Nymphaia" which is to the east of the wall of the Stoa. It consists of four subterranean cave-like constructions cut into the rock with entrance steps, the Nymphaia was believed to be a place of worship and recreation. 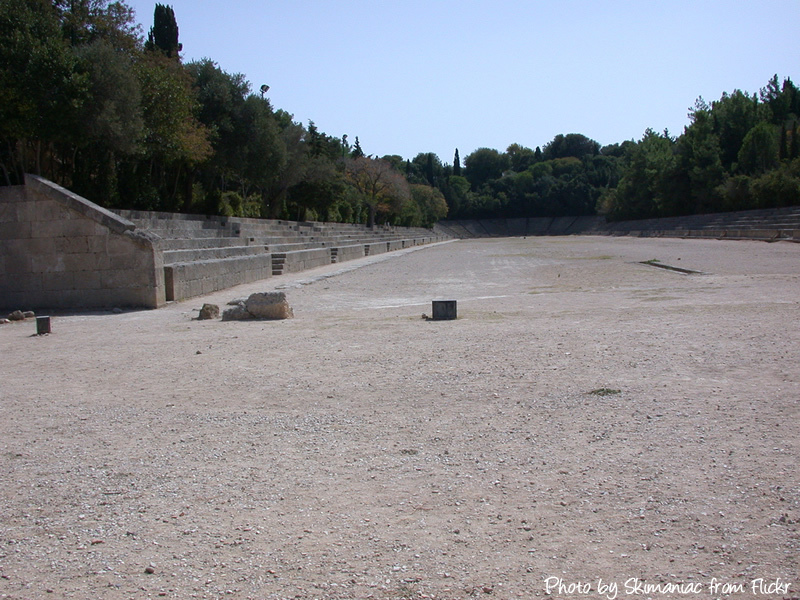 The Odeion or Odeon sits northwest of the Stadium and is a small restored marble Odeion. It held some 800 guests and is thought to have been used either for musical events or for listening to poets and scholars of the day. The Stadium, is on the south east side of the hill; it was excavated and restored by the Italians. The authentic original surviving parts are the sphendone (rounded end with turning post), proedries (seats of officials) and some of the lower seats in the auditorium. Also preserved for all to see are the starting mechanism for the athletes. Also discovered and partly excavated is the Gymnasium and Library, both important for the games that would of been held here and collecting works from times gone by. 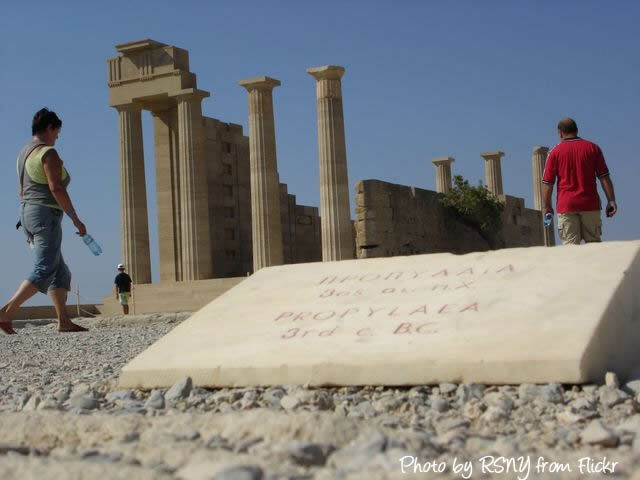 You can again visit the Acropolis of Rhodes during the daytime, always check with local travel agents for opening times and fees to get into the Acropolis.